Perfect For When You’re Feeling: Like you want something hearty, warming and packed with delicious flavour. The food here is fresh and caters for just about everyone’s taste - you can’t not find something to enjoy. The restaurants are always buzzing with groups, couples, and individual diners - their ramen is so good people are happy to sit slurping solo. 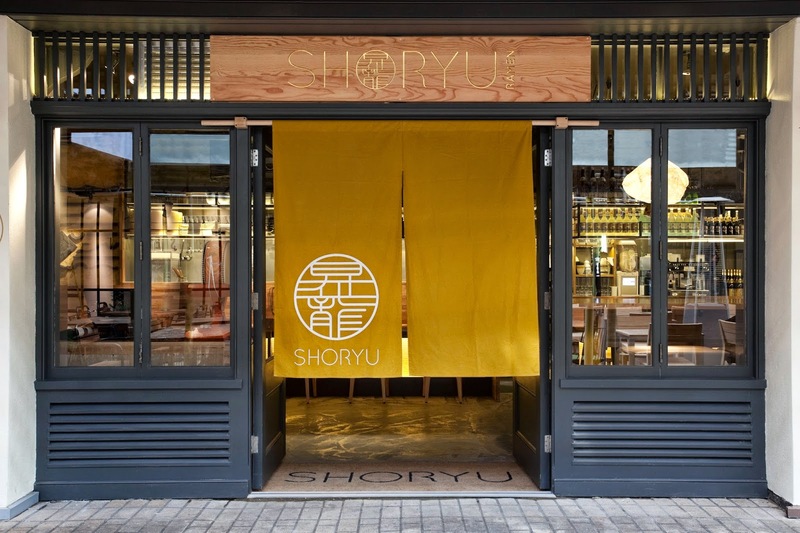 Location: The appearance of four restaurants since opening in 2012, including posts in Soho, Carnaby Street and Regent Street, show just how popular Shoryu have rightly become. 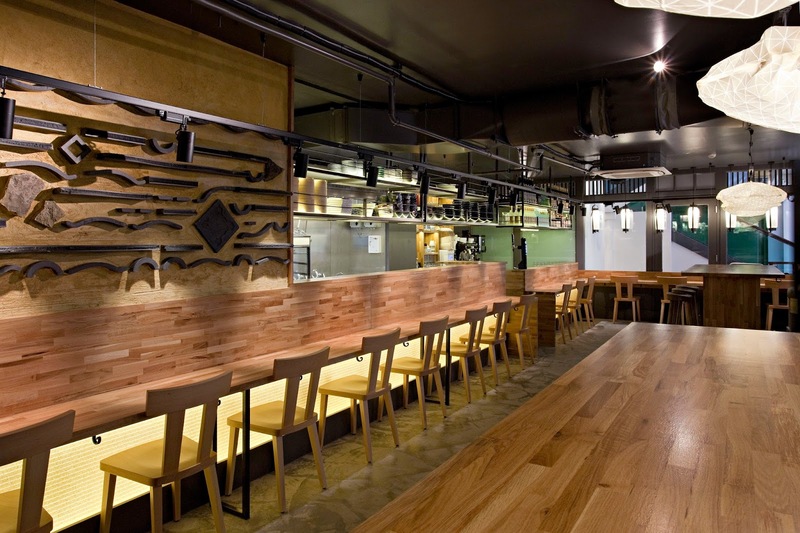 Menu Concept: This place is all about the Hakata Tonkotsu ramen - and if you haven't yet sampled it then you’re in for a real treat. Is it a soup? Is it a noodle dish? Is that a perfectly gooey boiled egg, glinting with sunshine-brightness from between slices of BBQ pork? You can answer yes to all of these questions, since these winning ingredients combine in a deep dish, together with rich pork broth, to make for a mouth-watering meal. These guys are also famed for their Shoryu buns, and for good reason. The pillowy soft mounds of dough have built up a fan-base for being packed with succulent fillings and amazing sauces. Cocktail Contributions: Following on with a suitably Asian theme, they pride themselves on a great selection that includes the Wasabi Martini, the Tokyo High Ball, and the Samurai Rock. The sweet-yet-fresh Mojito Loves Japan! is perfect with the tasty saltiness of the ramen and is a fine accompaniment to a meal. What We Scoffed: The special Halloween Menu is not to be ignored, as it brings together some of the tastiest items for your dining pleasure. 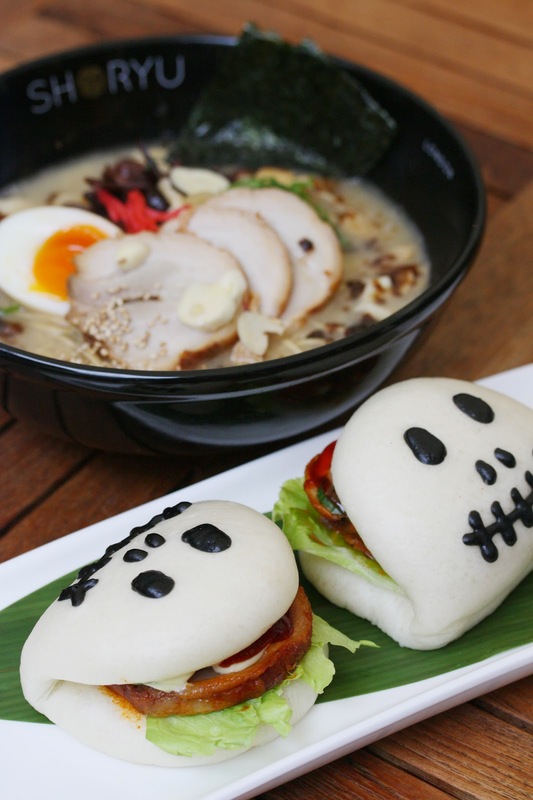 Begin with their fabulous Spooky Shoryu bun that is presented in a particularly quirky fashion - we can heartily recommend the char sui pork. The Dracula ramen is like no bowl of the stocky-stuff you’ve tried before. Packed with garlic and balsamic to give it a slightly darker tint, it packs a flavour punch stronger than Buffy at a vampire boxing competition. We finished with the indulgent yet light Matcha green tea cheesecake, the crunchy base of which worked brilliantly with the gentle and slightly earthy aftertaste of tea. What We Quaffed: There is also a limited autumn cocktail menu that make the most of the bounty of the season with a frothy, spiced and sweet Pumpkin Sour that evokes all the best things about harvest-time. Another autumnal cocktail we can heartily recommend in the Zen Garden - the delicacy of rose wine combined with refreshing cucumber and rosemary make for a perfect palate cleansing pre-drink. Next Time: The wagyu beef Shoryu bun is a must try - the succulent strips of meat practically melt on your tongue. The Shoryu Tasting platter is also the perfect way to experiment with several of the nibbles they’ve mastered - karate chicken is gluten free, light and crisp, while prawn tempura are golden capsules of juicy heaven. Atmosphere and Decor: There’s a bustling, lively vibe to the place which is helped by the competent staff making sure all diners are catered for, while no pretension whatsoever - people flock here for the food. Contemporary decor of pale wood and slate grey walls is lifted and given the clean authenticity with white paper lanterns. Tell Me A Little More: Shoryu means ‘To bring good fortune’ – something your stomach will definitely attest to when you’ve finished! What you’ll Instagram: A picture of the Spooky Buns, which are a real treat. Also take a snap of your ramen - with the bright colours of mixed ingredients it looks like modern art. What You’ll Tweet: Just found the best ramen EVER – didn’t think a combination of noodles, stock, meat and veg could be so satisfying! This is a guest post from the lovely guys at Social and Cocktail - you can read the rest of their posts for us here. Glasses with Class: MOOMIN GLASSES! The Cono Sur Blogger Competition: We're Involved! Best of British Beer: Wiper and True.